West Brom must attempt to re-sign Romaine Sawyers in the January transfer window after it was confirmed on Wednesday that Dean Smith has left Brentford. According to the Express & Star, the Baggies were in negotiations to sign Sawyers, 26, over the summer transfer window, with the view to him replacing Nacer Chadli, who eventually left for Monaco. Birmingham-born Sawyers left West Brom in 2013 after nine years of working his way through the ranks of the Black Country club. Smith signed the playmaker while he was at Walsall and then he was snapped up for a second time by him when he moved to Brentford. Smith has now joined Aston Villa and while you cannot count out the chance that he could try to sign Sawyers for a third time at Villa Park, West Brom should do everything in their power to use Smith’s exit to their advantage and sign him for themselves in January. Darren Moore’s midfield is hardly filled with creative talent and with the threat of Leicester recalling Harvey Barnes from his loan spell with the Baggies, the need for a player like Sawyers is higher than ever. 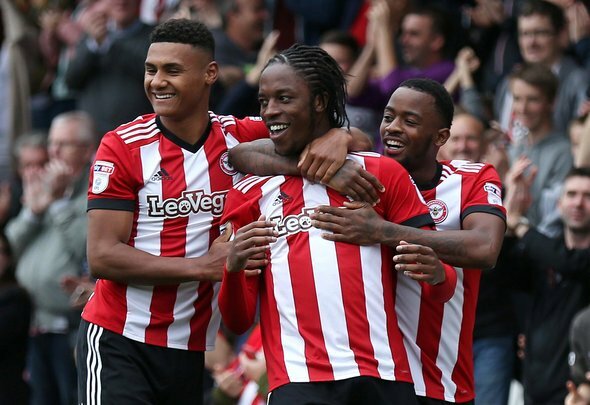 The 26-year-old has been key to Brentford’s rise towards promotion contenders, appearing 13 times across all competitions this season, while last season he scored five goals and supplied 10 assists in 44 total matches. If Barnes does go, who will Albion have to play in their midfield who can dictate games that isn’t at the twilight of their career? Smith’s departure could grease the wheels for a potential January swoop and Moore has to be on top of this to ensure that West Brom’s promotion campaign doesn’t stop dead in it’s tracks.